"Good for Slick! 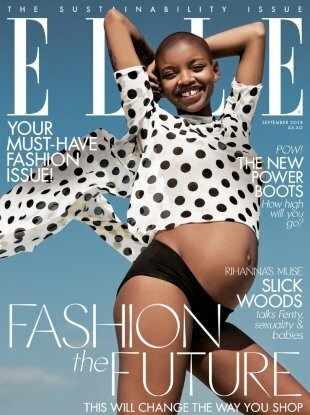 To get where she came from, to the cover of ELLE is extraordinary." "Not the worst last-minute cover choice I've ever seen." "I quite like this! The symmetry, the tan, and overall athletic strong woman vibe." 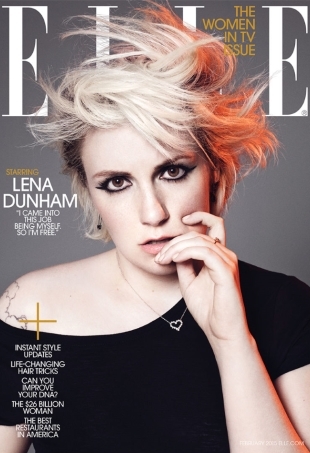 "Any chance Tina Fey will also get a cover? 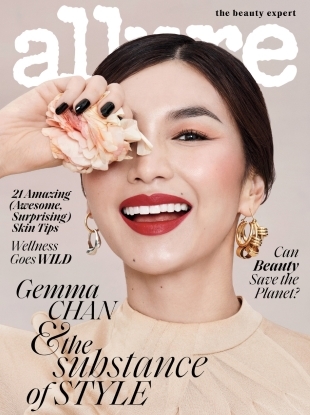 Because this cover is just too lazy." "Who needs make up when you have Photoshop?" "She kind of looks like a CGI game character!" 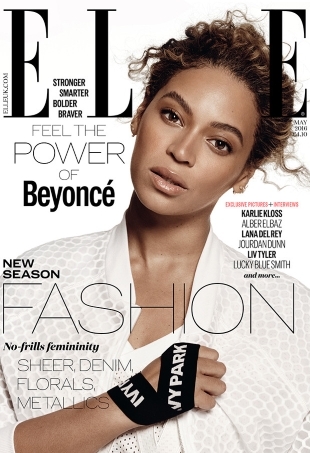 "Not loving the layout but Beyoncé looks incredible as always!" 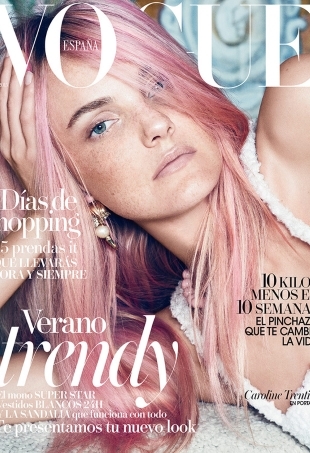 Vogue Spain continues to go from bad to worse with Caroline Trentini sporting pink hair on its July 2015 cover. Released just as her mother Hillary Clinton announced she will be running for president in 2016. 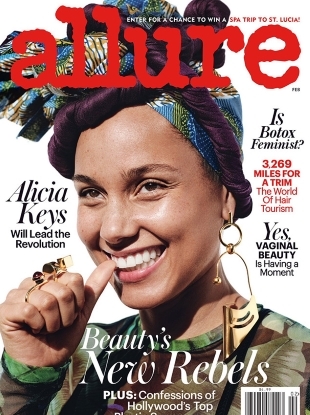 We appreciate when fashion magazines give us a different take on their cover subjects. "Outrageously bad. 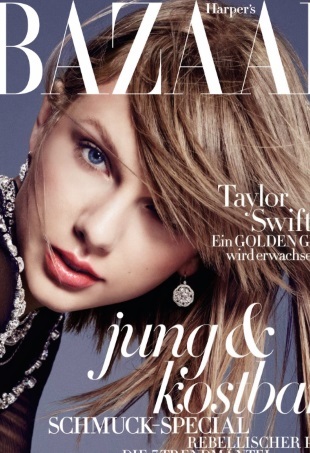 Fire whoever is responsible for this..."
Are we experiencing a Taylor Swift overload this month? 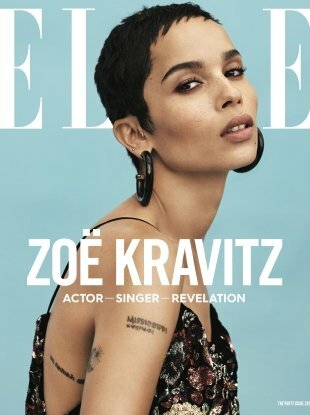 ELLE's annual "Women in Hollywood" issue has surfaced on our forums and the magazine tapped some of acting's finest as cover subjects. Karlie experiences denim overload for the magazine's October issue. Irina Shayk has another Vogue cover under her belt.